Most of us who follow the Middle East are of the opinion that nothing happens in Lebanon that sooner or later does not involve Syria. The two countries are bound by history, geography and their unique dialect of the Arabic language. If it had been left up to the people who actually live in the area, it is doubtful that Lebanon would even exist as a separate entity. Overshadowed by events in Iran, Iraq and Afghanistan, most casual observers probably missed an important development in the Lebanese-Syrian relationship. On a visit to Damascus to meet with Syrian President Bashar al-Asad, Lebanese Prime Minister Sa'ad al-Din al-Hariri recanted his earlier accusations that Syria was behind the 2005 assassination of his father, former Prime Minister Rafiq al-Hariri, in Beirut . In his words, "We made a mistake. 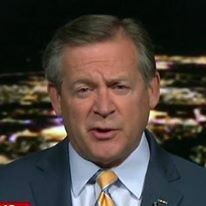 At one point we accused Syria...That was a political accusation, and that political accusation is over." Hariri's change of mind is interesting because regardless of who actually detonated the massive bomb that killed the elder Hariri, there is no way that one of the Syrian intelligence agencies was not involved. Recent suspicion has fallen on Iranian-backed Hizballah, which is nothing more than a proxy for its masters in Damascus and Tehran. Which Syrian intelligence agency is unknown, but I'd put my money on either Syrian Military Intelligence because of their long history of operations in Lebanon, or the much more sinister Syrian Air Force Intelligence who specialize in these sorts of mass killings. 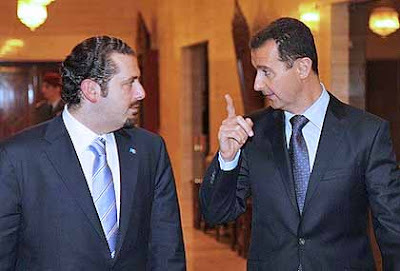 Hariri knows the Syrians did it, the Saudis know the Syrians did it, we know the Syrians did it, and what is more, the Syrians know that we all know. Welcome to the Byzantine world of Lebanese politics. The Hariri-Asad meeting was likely the result of Saudi King 'Abdullah's visit to Beirut less than two weeks ago. The Saudi monarch was accompanied by Syrian President al-Asad; there was no chance that Asad would allow a meeting in Beirut of this import to take place without his involvement. The simple message from 'Abdullah to Hariri: make your peace with Damascus or your country is likely to slip back into civil war. For its part, Syria views Lebanon as lost territory. Lebanon, much like Syria itself, as well as Iraq and Jordan, is a country created by the European powers in the aftermath of World War One. Following the defeat of the Ottoman Empire, the area which had been under Ottoman rule for 400 years came under League of Nations mandates given to Britain and France. The British mandate included the areas that now comprise Israel, Jordan, Iraq and part of Saudi Arabia. The French mandate included what is now Syria and Lebanon. In 1920, France created Greater Lebanon, a largely Christian (mostly Maronites) enclave but which also included areas containing many Muslims and Druze. In 1926, France declared Greater Lebanon to be the Lebanese Republic (the official name of the country today). Lebanon gained independence (on paper) in 1943 from the Vichy French government; the British occupied Lebanon and Syria during the war; the last French troops withdrew in 1946. The Syrians were never happy with the creation of Lebanon, calling it the vestiges of European colonialism and mandatory rule. To understand how the Syrians view Lebanon, here is a portion of a phone call (Skype, actually) I had not long ago with the wife of a Syrian doctor friend. In 2005, Syria suffered a setback in its attempt to maintain control of its neighbor, its "province." In the aftermath of the Hariri assassination, there was a popular nonviolent uprising nicknamed the "Cedar Revolution." The mass demonstrations forced Damascus to withdraw its troops, leaving Lebanon without Syrian military occupation troops for the first time since 1976. I remember quite clearly that day when Syrian tanks rolled into Beirut, but I digress. So why do we now have the Saudis encouraging the Lebanese to come back under Damascus's wing, despite the fact that everyone knows the Syrians had to be involved in the Hariri assassination? The Saudis are Iran's main rival to be the main power broker in the Persian Gulf. With Iran embarking on a nuclear weapons program, Saudi Arabia is concerned that it will be relegated to a position of irrelevance in the region. Syria is Iran's main and really only ally in the Arab world. Iran exercises great influence over not only Syria, but over Lebanese Hizballah as well. It was the Iranian Islamic Revolutionary Guard Corps that created Hizballah in 1982; they have been intimately involved ever since, providing most of the weapons, money and training that allows the organization to survive and play a substantial role in Lebanese politics. Make no mistake about Syrian political acumen. The Syrians have been playing this game since there was a game. I think they will encourage the Lebanese to come back into "the Syrian tent." Will it achieve Saudi Arabia's goal, a laudable one, of creating a wedge between Tehran and Damascus? I doubt it. I think this round goes to Syria.